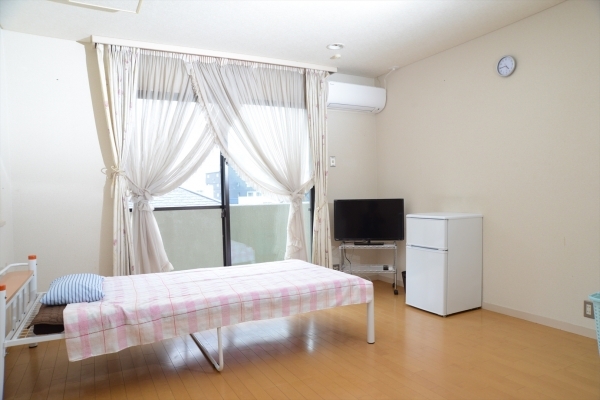 This sharehouse, right next to Urawa stadium, is perfect for female football fans. Share Urawa is a 15 minute bicycle ride to Urawa stadium. The proximity of the stadium is priceless to supporters. Free-to-rent bicycles allow you to go and visit the stadium anytime you like. The house has a jacuzzi, sauna and fitness facilities – great for those wanting to lose weight! The city centre is surprisingly close, from the nearest station, Higashi Urawa, a 29 minute ride gets you into Ikebukuro, a 32 minute ride into Ueno and a 34 minute ride into Shinjuku. No need to worry about the last train as buses to Urawa run after midnight. For those who want to get a better feel for the house before moving in, a trial overnight stay is available. 15 minutes walk from Higashi-Urawa Station.